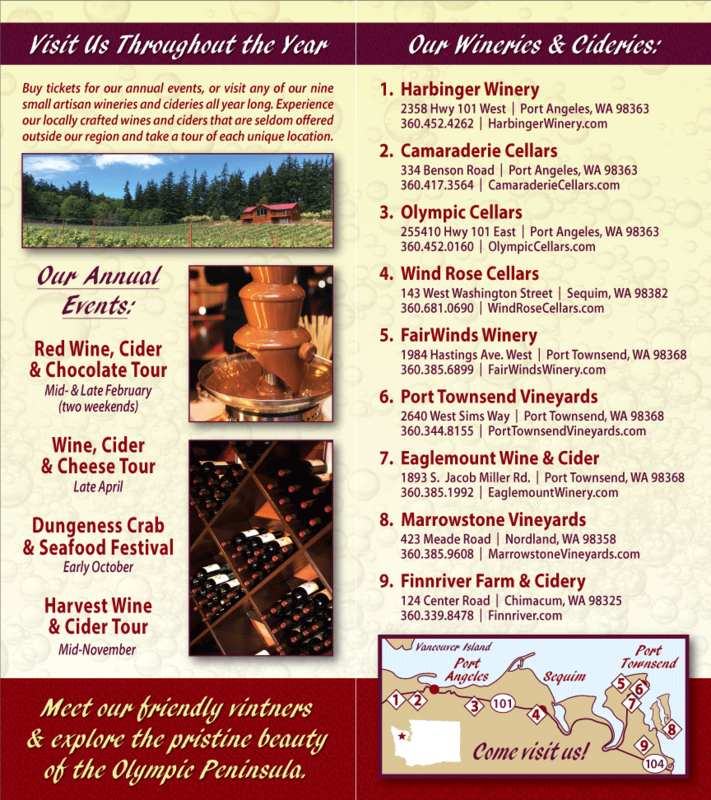 Olympic Peninsula Wineries offer a unique travel experience for people traveling to the Olympic Peninsula of Washington State to experience our award winning wineries. Our hand-crafted, artisan wines pair well with fresh regional seafood and other unique Pacific Northwest cuisine. Whether you’re here for a weekend getaway, a midweek afternoon, or an entire week, the Olympic Peninsula offers lodging, restaurants, golf, shopping, and many other activities to complement your vineyards and wine-tasting experience. Planning a stay in Port Townsend, Sequim or Port Angeles? See our list of Hotels, Inns and Bed and Breakfasts. From Italian to traditional Northwest Cuisine, get more information on some great resturants in Port Angeles, Port Townsend, and Sequim. After you have found that great bottle of wine enjoy a picnic at one of these breath taking locations. Get more information on popular destinations like Hurricane Ridge, Fort Warden, Olympic National Park, and many more. Lots of photos and great information inside. Links to current schedules for Washington State, and British Columbia.